There has been a widespread criticism that the Sakala Janula Samme has been brought to an abrupt end without receiving any concrete assurance from the Centre. Even some of the employees unions who participated in the 42 day long strike have alleged that the employees JAC has mortgaged the Telangana movement by calling off the strike without any reason. Certainly, this has put the TRS chief K Chandrasekhar Rao, Telangana political joint action committee chairman M Kodandaram and TNGOs president Swamy Goud to seriously contemplate undertaking an indefinite fast either in New Delhi or Hyderabad to coincide with the start of the winter session of Parliament. TJAC is also under pressure from various groups not to let go off the current opportunity wherein the Telangana issue has assumed immense priority both at the state and Centre. 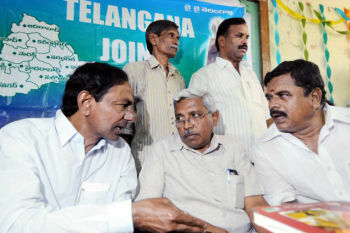 Sources said though the issue came up for discussion several times earlier, several TJAC leaders wanted K Chandrasekhar Rao to take direct control of the movement while Kodandaram confines himself to the single point agenda of an indefinite fast by insisting on introduction of Telangana bill in Parliament during the upcoming winter session. TRS politburo is also of the opinion that KCR shouldn't take up fasting as of now and the focus has shifted to Kodandaram and Swamy Goud. 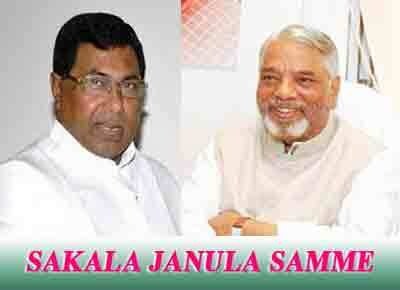 The reasons behind TEJAC withdrawing Sakala Janula Samme have come to fore finally. Though the TEJAC leaders were vehement in saying that they are calling off the 42 day long strike keeping in view the hardships it is causing to the general public, but the real reasons seem to be entirely different. The Joint Struggle Committee of the unions of Telangana officers, employees, teachers and workers has come down heavily on TEJAC leaders terming them betrayers of Telangana for withdrawing the stir of government employees for ‘selfish reasons’. The committee criticised TEJAC leaders for raising non-issues unrelated to Telangana rather than focusing on the central demand of introducing a Bill in Parliament to form a separate state. TEJAC leaders had mortgaged the interests of the people of the region as they did at the time of the non-cooperation stir in January last, said the committee, which exhorted people to stone the 'betrayers'. A statement issued by leaders of the committee, including Mr K. Gopal Reddy, Mr E. Venkatesam, Mr T. Prabhakar, Mr G. Venkateswarlu, Mr B. Ramsetty, Mr B. Nagesh and Mr B. Raghu, pointed out that the TEJAC leaders also deliberately ignored the demand for separate Telangana in the talks they held with the government on Monday. The committee also asked the government not to withdraw inquiry against the TEJAC chairman, Mr K. Swamy Goud, over the alleged irregularities in allotting house sites through TNGOs Housing Society and for also possessing three house sites in his name in three housing societies. Further, the panel asked the state to suspend Mr Goud from the post of the president of the TNGOs Housing Society. The 42 day long Sakala Janula Samme or the people's strike by pro-Telangana government employees in Andhra Pradesh demanding creation of a separate state, was called off late Monday evening following marathon discussions between the agitators and the government. The employees, on strike since September 13 as part of the 'Sakala Janula Samme' (strike by all sections) in support of a host of demands including a timeline for statehood to the region, called it off after several rounds of discussions with Deputy Chief Minister Damodar Rajanarasimha and senior officials at the state secretariat in Hyderabad. The government has accepted nine demands made by the striking employees. D Nagender, Minister for Labour and Employment said the state government has agreed to implement most of the employees' demands and some of the issues, which are not under the state government's purview, will be referred to the central government. 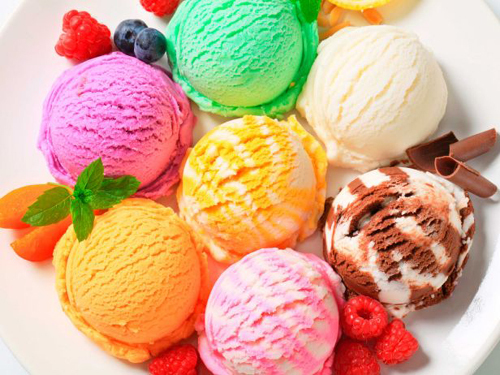 "We sincerely thank the employees for calling off their strike. The Chief Minister has agreed to most of their demands. The employees have understood the situation and agreed to join duties from Tuesday," Nagender told reporters after the talks were successfully concluded. Telangana Political Joint Action Committee Chairman Kodandaram said the employees have called of their strike "temporarily" and thanked them for their support to the Telangana cause. Minister of Finance A Ramanarayana Reddy said the salary for the strike period will be given to the employees as special advance keeping in view the festive season. Employees said they will resume their duties from Tuesday. Andhra Pradesh chief minister Kiran Kumar Reddy's meeting with leaders of Telangana Employees Joint Action Committee (TEJAC) is taking place today (24 October 2011). The meeting is being attended by chairperson M Kodandaram, Telangana Rashtra Samithi president K Chandrasekhara Rao (KCR) and representatives of different unions. The meeting holds significance because it will decide on the future of the strike. Talks are also on with Telangana employees unions to ask them to rejoin work in the light of the appeal made by Union Minister and in-charge of Congress affairs in Andhra Pradesh, Ghulam Nabi Azad on Sunday. Talking to reporters in Delhi, Mr Azad had yestrday said, "There is a prolonged agitation in Telangana by employees of the state government. It is almost five weeks since it started. As a result, the general public is suffering... facing hardships particularly during the festival days. 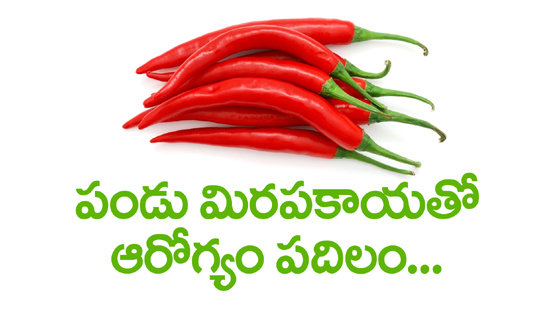 I would like to appeal to the employees of Telangana to call off the strike." Telangana region has been on a standstill for weeks as pro-Telangana leaders have been protesting against the Centre's inaction in giving the region a separate state status. The protesters continued Sakala Janula Samme with rallies and other protests on Sunday in support of their demand. Leaders of pro-Telangana employees of the state electricity department observed a fast in Hyderabad, while several leaders from BJP and TRS expressed solidarity with them. Pro-Telangana employees have been participating in the general strike since September 13 but various unions of employees like those of teachers have withdrawn their stir in the last couple of weeks. However, some pro-Telangana employees still are continuing their strike. Even as Sakala Janula Samme demanding carving out of a separate Telangana state completes 39 days, the 'restless' employees want their leaders to end the stir immediately. The reason for employees restlessness is said to be pressure from their families. Apart from this, a section of the employees have started building pressure on the JAC to immediately call of the strike fearing action by the respective departments. Highly placed government sources said employee leaders have been asked to call off their strike and report to duties within the next 72 hours. A section of the senior revenue staff have already assured the department head of resuming duties from Monday. With no breakthrough in talks with the respective department heads even on Friday, no activity has been reported from departments like energy, MAUD, panchayat raj, transport, treasury and revenue. The festival of lights, Deepavali, is also giving blues to the employee leaders, who are being flooded with requests for small amounts. "With none of the political parties that promised to beg and support them financially during the strike period not coming forth with any assurance, we are feeling guilty about the situation. 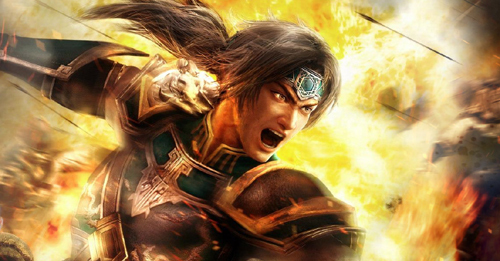 In a way, we are helpless," said the TEJAC leader. Some of the employee leaders on condition of anonymity said they were being asked by a considerable section of the employees to call of the strike as they were under pressure from their families. "We are being asked to tone down our approach," said a TEJAC leader. "We are being asked to take a cue from teachers, RTC workers and coal miners who have called off the strike after getting an assurance from the government on the loss of man days and payment of salary during strike period," he added. Alleging that Telangana Joint Action Committee (TJAC) convenor prof. M kodandaram is trying to dilute the Telangana agitation, a posse of T-protagonists tried to storm his residence at Tarnaka in Hyderabad on Friday. Raising slogans against Telangana Rashtra Samithi and Prof M Kodandaram, the activists alleged that the TP-JAC chairman went to New Delhi to settle the financial package to dilute the Sakala Janula Samme, the general strike of employees demanding statehood for Telangana region. 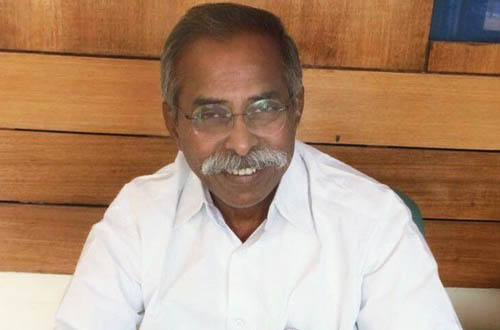 TPF-JAC convenor Gajjela Kantham sought explanation from Kodandaram as to why he discontinued Telangana statehood agitation in midway after return from New Delhi. 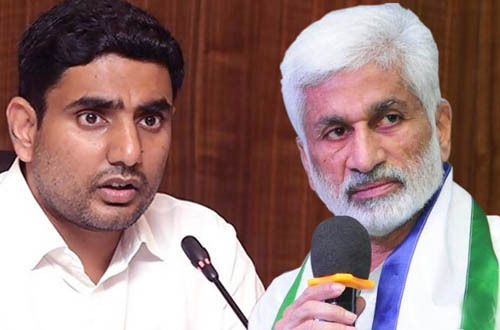 Alleging that Kodandaram was behaving like former chief minister Marri Chenna Reddy, Kantham asked him to explain as to why he went to New Delhi without receiving any invitation from the Centre to discuss the statehood issue. He asked Kodandaram and TRS president K Chandrasekhar Rao to give a detailed explanation on what transpired between them and the Congress High Command during the visit. When lakhs of employees were participating in the general strike for the statehood without bothering about their salaries, Kantham alleged that Kodandaram suddenly reversed his stand and mde JACs to withdraw from the agitation. He also sought explanation from the TRS leaders over the allegations of allotment of Polavaram irrigation project contract tenders. Meanwhile, TRS and TPJAC activists came to spot and raised slogans against Gajjela Kantham and condemned him for criticizing Prof Kodandaram. Tension prevailed at the spot with both the groups entering into verbal dual. However, the police swung into action and dispersed both the groups. A few of activists who tried to storm into Kodandaram's residence were also taken into custody. They were later shifted to a nearby police station. The Telangana Congress MPs K Kesava Rao, Ponnam Prabhakar, Madhu Yashki Goud and S. Rajaiah left for Delhi on Thursday to talk to the central Congress leaders and bring pressure on them to announce a road map on Telangana. They will also brief the latest situation in Telangana region on account of delay in announcing T state by Centre. 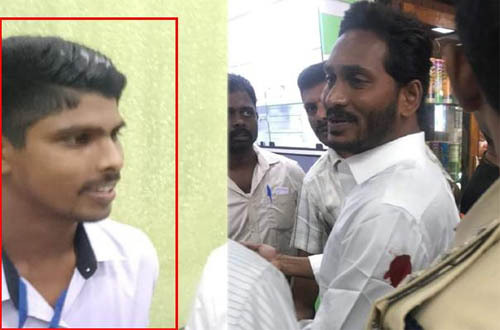 The MPs are expected to lodge a complaint against the Chief Minister, Mr N. Kiran Kumar Reddy, for his proactive role in harassing, arresting and putting party MPs behind the bars during the rail roko agitation only with an intention to intimidating the Congress leaders. The MPs will return and participate in October 22 meeting which is aimed at preparing an action plan. In a related development the CM on Thursday evening closeted with few Congress leaders from Nalgonda district on how to deal with the situation in case Mr Komatireddy Venkata reddy launched his fast. Former ministers, Mr R. Damodara Reddy, Mr Vuppunutala Purushottam Reddy, Mr Palvai Govardhan Reddy and senior MLA Mr Uttam kumar Reddy attended the meet. The miffed Telangana Congress leaders, particularly the MPs, have decided to organise a meeting on October 22 in Hyderabad and call for boycotting the AP State Formation Day celebrations on 1 November and observe a "Great Betrayal Day" in order to register protest against the delay by the Centre on Telangana demand. A meeting of all important Congress functionaries from the mandal to state level would be organised at the Exhibition Grounds on October 22 to formulate future action plan for achieving separate T state. The Karimnagar MP, Mr Ponnam Prabhakar, told reporters that all the ministers, MPs and legislators from the region would attend the meeting. He said it is most likely the meeting may ask all the Telangana ministers to boycott participating in the state Formation Day celebrations. Meanwhile, the former minister Komatireddy Venkata Reddy, on Thursday declared he would start fast-unto-death from November 1 at Nalgonda. He warned the government any attempt to disrupt his fast would be strongly resisted. However, the presence of Telangana ministers and MLAs at the October 22 meeting has become doubtful as majority of them have already been convinced by the Chief Minister and have started distancing themselves from attending to such meetings. 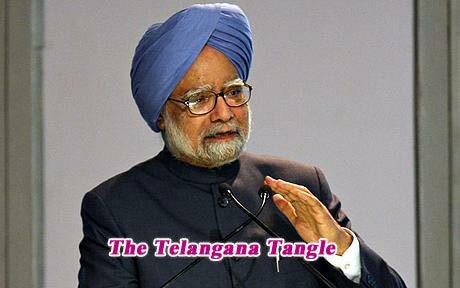 Without revealing possible time frame for resolving the contentious Telangana tangle, the Prime Minister Dr. Manmohan Singh said that resolving the crisis would 'take some time'. He said this while interacting with mediapersons on Wednesday on a flight back to India after attending the India-Brazil-South Africa (IBSA) summit in Pretoria, South Africa. Acknowledging that there were difficulties in formulating solutions to the long-standing issue, Dr. Singh asserted that the government was taking all possible steps to quell the row. "There are difficulties in arriving at quick decision. There is a long history of the Telangana movement, which is not a new movement. It has been there since the mid-fifties and given the complications involved in settlement, it will take some time and that is why we have been engaged in widespread dialogue discussions with all the stake holders and it is our hope that out of that will emerge a solution which is a win-win situation for all concerned," Dr. Singh added. Telangana Congress Steering Committee chairmen - Panchayatiraj minister K Jana Reddy and Rajya Sabha MP K Kesava Rao on Wednesday issued a joint appeal to leaders in the Telangana region to suspend their Telangana agitation "for a brief period". 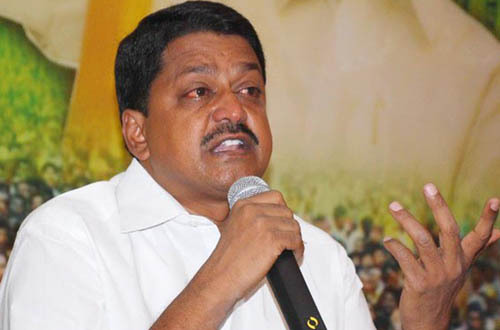 Speaking to media at his residence, Jana Reddy said that Congress leader Vanama Raghavendra Rao and CPI leader Sambasiva Rao were on an indefinite fast in Khammam district demanding statehood for the Telangana region. 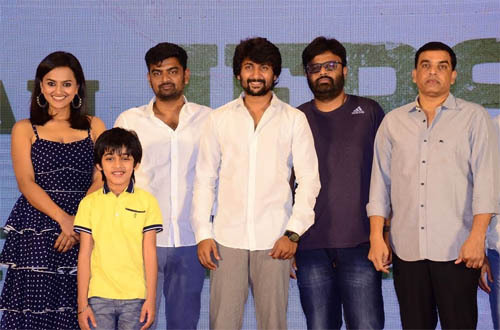 He said that Raghavendera Rao has lost about 7 kilograms of weight since 14 October. He appealed to both the leaders to end the fast immediately. He clarified that all the allegations being made against him were baseless. He also refuted the media reports criticising his statements asking for the withdrawal of the general strike. MP K Kesava Rao said that leaders and activists ought not harm themselves in the name of agitation, and requested the Khammam leaders to call off their indefinite fast. He said that senior Congress leaders were busy giving final touches to the next course of action to be taken to achieve a separate Telangana. The Rajya Sabha MP said that he is visiting the national capital on Thursday, and that once he returns he would disclose the protest plan that the Telangana Congress Steering Committee has planned. He said that the agitation would be taken up in a more planned manner, with 2 leaders spearheading it in each district. The ongoing Sakala Janula Samme in Telangana region is slowing down with several of the participant employees associations calling of the strike. Invariably, this has led the TJAC convenor M Kodandaram and TRS chief K Chandrasekhar Rao to look for other alternatives to keep the separate state flame burning. As part of the newfound strategy, KCR son and Sircilla MLA K T Ramarao has announced that the TRS chief will go on an indefinite fast demanding statehood for the region. However, the time and date for the proposed fast would be decided later. Speaking to reporters at Suryapet on Wednesday, Tarakarama Rao said that KCR had discussed his proposed fast with TRS leaders. However, before taking a final decision, the proposal will be discussed with the Telangana Political Joint Action Committee in its next meeting. Claiming that the Sakala Janula Samme, the ongoing general strike, has been successful in mounting pressure on the centre, KTR accused Congress leaders of having failed to make the Centre announce a favourable decision on Telangana. He said that the Congress did not participate in the general strike actively and that, in fact, some of its leaders had tried to sabotage the agitation. 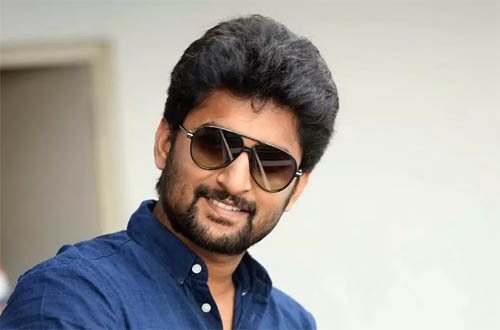 The Sircilla MLA said that Congress ministers, MPs and MLAs have together failed to mount pressure on the Congress-led UPA government, and that they have become a major obstacle in the formation of a Telangana state. He demanded that elected representatives of the Congress party resign to mount pressure on the Centre. Regarding KCR's proposed indefinite fast, KTR hoped that like the one in December 2009, the fast would force the Centre to make an early and favourable announcement on Telangana. 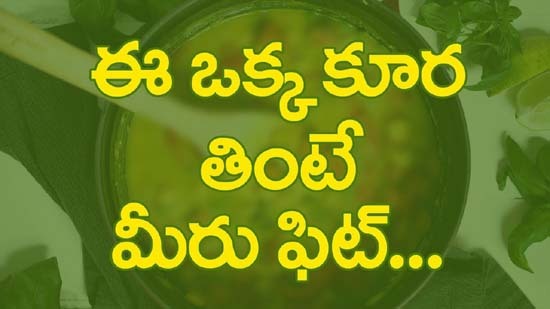 After 35 days of Sakala Janula Samme, life in the Telangana region is springing back to normalcy. Much to the relief of students and their worried parents, the schools and colleges that were shut in support of a separate Telangana reopened on Tuesday. Over 40,000 schools re-opened across Telangana, comprising 10 districts including Hyderabad, as 200,000 teachers returned to work. Officials said 5.2 million students attended the schools on the first day after the strike. While private schools and colleges and government-run schools have re-opened, the government-run junior colleges are likely to resume classes from Wednesday. The leaders of lecturers at junior colleges, on Tuesday, held talks with Education Minister Partha Sarathi. They decided to withdraw the strike after consultations with Telangana Joint Action Committee (JAC), which is spearheading the movement for a separate state. The government teachers withdrew the strike after talks with Chief Minister N. Kiran Kumar Reddy on Monday night. The government agreed to all their demands except formation of Telangana state saying the issue does not come under its purview. The development followed JAC's decision to exempt educational institutions from the strike. Private schools, colleges, technical and professional education institutes also reopened across Telangana. The managements of these institutions said they would run classes on Saturdays and other holidays to make up for the loss of school days during the strike. The government had threatened to derecognise educational institutions which failed to reopen from Tuesday. The development came as a big relief to parents. JAC was also under pressure to exempt educational institutions in view of concerns that students may lose the academic year. After more than a month, coal production resumed in the state-run Singareni coal mines on Tuesday. Coal workers in 50 mines spread over four districts of Telangana returned to work after unions decided to "temporarily" call off their strike around midnight Monday. JAC convenor M. Kodandaram announced an end to the strike after talking to the management of the company on behalf of the unions. The management agreed to treat the strike period as special leave, pay a festival advance and promised to take back cases registered against the strikers. The resumption of coal production in Singareni after 35 days has come as a huge relief to six states including Andhra Pradesh, Maharashtra and Karnataka which were reeling under electricity shortage. With the employees of the Andhra Pradesh State Road Transport Corp (APSRTC) withdrawing their 28-day strike on Saturday, it is only the government employees in Telangana that are continuing the strike. The government is hopeful of an early breakthrough in the talks with the employees' unions. The Telangana JAC proposed 'Telangana-march' in the first week of November is causing worry among not only the people of Seemandhra region, but also the people of Telangana region. They are expecting a massive unleashing of violence during and afterwards the proposed march. 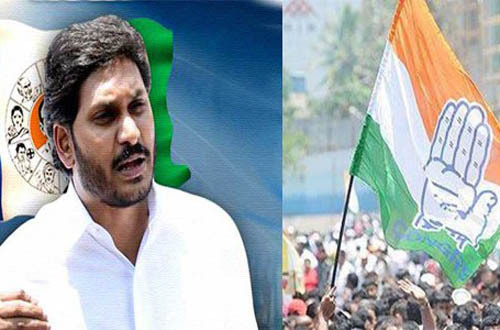 Even as the Telangana groups are still giving final touches to what they call it a massive siege of Hyderabad, political leaders in the Seemandhra region are apprehending that the march is actually intended to target them. 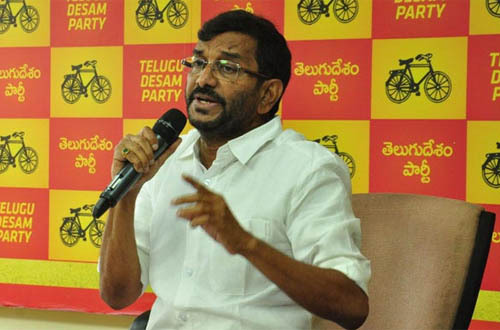 Speaking at a meeting of the Samaikhyandhra JAC in Guntur on Monday, former TDP minister Kodela Sivaprasada Rao said it was clear that the Hyderabad March is aimed at targeting the businesses of the people from these two regions in Hyderabad. "Last time around, when they held the Million March on Tank Bund road, statues of many Telugu icons were vandalized. 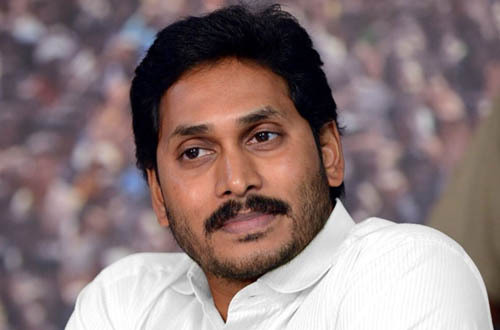 This time, it looks like the business interests of the Seemandhra people will end up as the victims," he said. However, sources in the Telangana Political JAC said the Hyderabad March is intended only to display a massive show of strength of the Telangana people and not aimed at the people or the businesses of the other two regions. They claimed that their Million March was thwarted with a huge police deployment and that they wanted to lay siege to Hyderabad this time around, so that it becomes clear to New Delhi that the people of the region will not settle for anything less than a separate state. However, the state government and the police are apprehensive that a massive assembly of people, especially on such an emotive issue, can lead to breakdown of law and order and result in large scale violence. 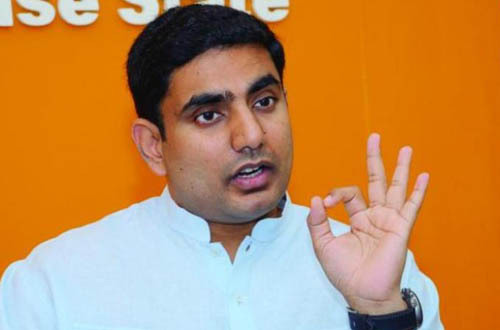 "Within minutes of being released on bail after his arrest in connection with the rail roko in Medak, TRS leader T Harish Rao said that their next target is to lay siege to the residences of ministers and Congress MLAs and force them to resign. We are fearful that the T movement can become increasingly violent and out of control," a police official said. Interestingly, the political analysts are also of the opinion that the TRS will try to escalate violence so as to compel the government to impose President's Rule. If that happens, TRS can easily convince the electorate in 2014 that the Congress government has brutally suppressed the agitation and blocked formation of separate Telangana. 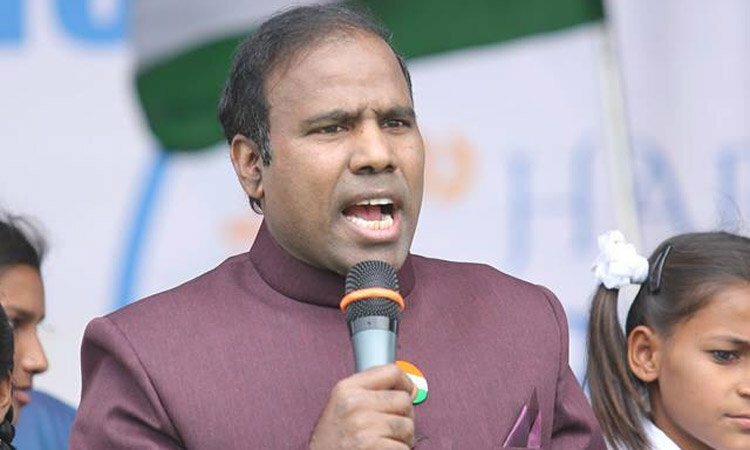 Telangana Political Joint Action Committee (TJAC), which is spearheading the 35-day old Sakala Janula Samme demanding formation of separate Telangana state, has come out with a new 'Slogan' for its stir. The new slogan, "Congress ko Khatam Karo; Telangana ko Haasil Karo", has been coined in protest of the impassive attitude of Congress leaders from the region. The TJAC steering Committee which met at Marx Bhavan at Vidyanagar here on Monday evening made it clear that the sakala janula samme will continue and that it would be intensified further. From now on the TJAC would target the Congress Party. The meeting was attended among others by TRS chief K Chandrasekhara Rao. 'We have decided to continue our movement till our goal is achieved. 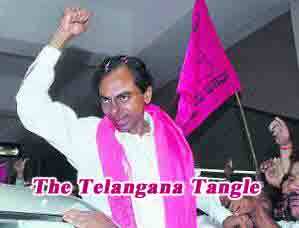 The movement would be further intensified," Chandrasekhara Rao said. To a question on whether the government employees strike would continue, he replied in the affirmative. "It will continue and would be intensified further." The TJAC, which discussed the response from the Congress to the movement so far, felt that if it was not encouraging the stir because of the Telangana Congress leadership's lack of involvement. 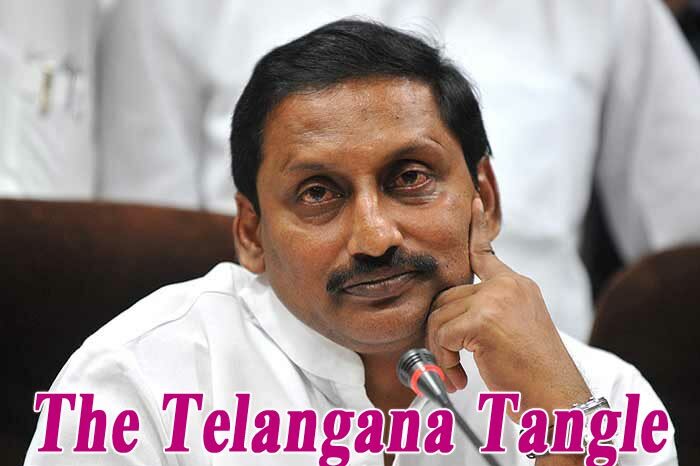 "The Congress leaders from Telangana region have become stooges of Seemandhra leaders. Their bankruptcy of thoughts is unmatched. They have become puppets in the hands of Seemandhra leaders," TJAC chairman Prof M Kodandaram said. "That is the reason why we have decided to bury the Congress in Telangana region for good. Our slogan will be 'Congress ko khatam karo, Telangana ko hasil karo'." Kodandaram said, adding that the TJAC would meet in a couple of days to decide on agitational programmes to corner Telangana Congress leaders. "We have already given a call for Telangana march. The dates for this and other forms of agitation would be decided in two to three days," he said. 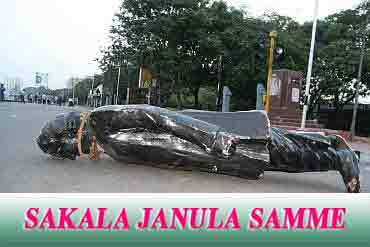 The Telangana Joint Action Committee (TJAC) called one day Bandh as part of Sakala Janula Samme on Monday - 17 October 2011 - was total in districts and went on peacefully with normal life coming to grinding halt in the region. 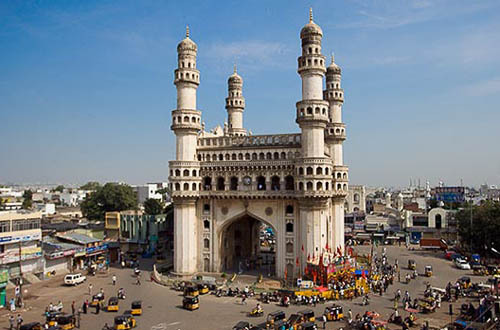 However, the bandh was partial in Hyderabad as shops, business establishments were open and autos plied normally. Public transport system was paralysed as state-run RTC buses were confined to depots in the other districts districts of Telangana region. Educational institutions were closed, as also commercial establishments, banks, petrol bunks, cinema theatres and offices. However, there was no disruption of train services. Fearing attacks by protesters, police stopped the buses coming from Andhra region to Hyderabad at Madhira in Khammam, Kodad in Nalgonda and diverted them. Congress workers and leaders joined hands with TRS and political JAC activists to enforce bandh in Karimnagar district. In Khammam district, 629 buses were restricted to six depots. CPI workers locked the gates of Bhadrachalam bus depot to see that no bus is taken out. Windowpanes of some buses were damaged at Jagjivanram crossroads in Mahbubnagar, while protestors staged dharnas at Nirmal, Manchiryal, Adilabad, Asifabad in support of the bandh. In Masanpally in Kalheru mandal in Medak district, the agitators staged a rasta roko as nearly 580 buses remained confined to seven depots in the district. Autos plied in Nizamabad district, while hotels, cinema halls, petrol bunks, banks, schools, colleges and other educational institutions remained closed throughout the day. In Warangal district, restaurants and roadside tea stalls also closed. TRS activists took out a two-wheeler rally at Warangal, Hanamkonda and Kazipet. In the district, 913 buses remained confined to nine depots. Protesters attacked a petrol bunk and damaged the glasspanes at Tirupally. A number of caste associations organised rallies from Hanamkonda crossroads to Adalath junction in support of Sakala Janula Samme, which entered 35th day on Monday. While demand for a separate Telangana state is justified or not is purely debatable, the way the Sakala Janula Samme is shaping out is definitely despicable. The mushrooming political-heirs like K T Ramarao, Harish Rao (son and nephew of TRS chief K Chandrasekhar Rao) and their several alikes are behaving as if the State is their 'baap ka jaagir', lament the senior T-protagonists. Sometime ago TRS MLA Harish Rao beat a dalit employee of A P Bhavan in Delhi in front of full glare of the media. On Saturday, it was the turn of foreign-educated K T Ramarao to show his true 'refinement' in public. While organizing rail roko protest at Sitaphalmandi railway station, police took him away and for reasons better known to them, brought KTR back to the same place from where he was picked up. The enraged KTR started abusing police officers who were present there and also who were not. The language he used was not at all becoming for an educated person like him. Every sane and prudent Telanganaite present there felt ashamed to be led by such a foul-mouthed leader like KTR, who didn't mind even abusing the police by mouthing filthy words like 'nee amma....' in public. Senior citizens, who have also witnessed 1969 Telangana agitation spearheaded by late Marri Chenna Reddy, say they have never come across senior leaders using filthy language however enraged they might be. But these 'newly rich doras' (KTR-Harish-like) behave as they like and try to get away by saying that it was their frustration that resulted into this kind of behaviour. But, elders say, it is not true. In this kind of agitations, the frustrated one always happens to be 'the common man' and the one and only reason for these political-heirs' behaviour is the 'ill-gotten money and power' inherited by them. For the first time after Sakala Janula Samme has started a month ago, the police has cracked its whip on the T-agitators. On Saturday it made a number of arrests for participating in TJAC called three day rail rokom program. Many a top leader from TRS, TJAC and T Congrerss were arrested along with hundreds of other protesters. The courts have imposed stringent conditions while granting bail to pro-Telangana activists who were arrested under the Railway Protection Act for their participation in Saturday’s rail roko. Police named Telangana Joint Action Committee convenor Prof. Kodandaram and Telangana Rashtra Samiti president Mr K. Chandrasekhar Rao in the FIRs booked in several districts across the Telangana region during the rail roko on October 15. They are alleged to have instigated the people who resorted to obstructing trains and destroying railway property. Medak MP Vijayashanti and Sircilla MLA, Mr K.T. Rama Rao were booked for abusing the police. KCR's daughter, Ms K. Kavita, was released on bail whereas Karimnagar MP Mr Ponnam Prabhakar, Warangal MP Mr S. Rajaiah, MLAs Mr T. Harish Rao and Mr T. Rajaiah, and former minister Mr T. Jeevan Reddy remain in jail as they are yet to get bail. 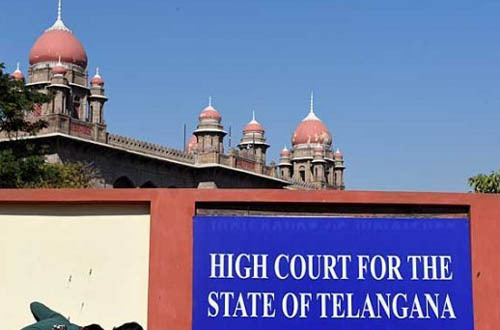 The magistrate at the Secunderabad Railway Court, while granting bail to Telangana Jagruthi president Ms Kavita, and 13 others in connection with the rail roko on October 15 at Moula Ali, forbade them to participate in any more rail rokos. Further, Ms Kavita and her followers Ms A. Madhavi, Ms S. Manemma and Ms B. Saroja will have to appear before the station house officer on every Sunday and Monday between 10 am to 2 pm without any followers except a counsel and a woman friend or relative. They were released on a self-bond of Rs 5000 with two sureties. The other accused, all men, must appear before the station house officer on every Sunday and Thursday between 10 am to 2 pm for a period of six weeks or till filing of the chargesheet. Karimnagar MP Mr Ponnam Prabhakar and former minister Mr T. Jeevan Reddy were shifted to Karimnagar Central Prison on Sunday after they were remanded to 14 days judicial custody. TRS MLA Mr T. Harish Rao too has been sent to 13-day judicial custody by a magistrate in Medak. Normal life was disrupted in the Telangana region on day 35 - 17 October 2011 - of Sakala Janula Samme, due to a bandh called by the Telangana Joint Action Committee to protest police action against MPs and MLAs during Saturday's rail roko. Public transport system was hit and educational institutions were closed besides most of the commercial establishments, banks and offices. Many leaders, including those from the ruling Congress, were arrested under various provisions of the Railway Protection Act during the rail roko agitation. While the impact of the bandh was partial in Hyderabad city, it was almost complete in the remaining Telangana region. Autorickshaws are off the roads from midnight for 24 hours in support of the bandh. Buses belonging to the state-owned Road Transport Corporation (RTC) are operating partially in the region. However, no reports of disruption of train services has been reported. Fearing attacks by protesters, police stopped the buses coming from Andhra region to Hyderabad on Andhra-Telangana border. No untoward incident has been reported so far. Day 33 - Sakala Janula Samme - 15 October 2011 - Here are video clippings of day long incidents that took place during the rail roko protest throughout the Telangana region.